Bro. Dion became the Head Deacon of The International Church. Sis. Mikka is the Director of Bus Ministry and also serves in Media, Praise Team, Choir and serves as the choir secretary. Dion and Mikka also serve on the Board of Directors. 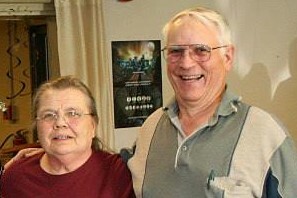 John & Pat are a vital part of the church's core. John is a builder who has a wealth of knowledge and skill helping out in every area of building maintenance that arises at the church. Pat is a vital part of the prayer team that uplifts pastor in daily prayer, which is the backbone of the ministry. Her countless hours of prayer & wealth of knowledge that she brings in indispensable. Paul is a part of the music ministry serving as a song leader, & also helps with the sound dept. Veronica is also involved in the choir, Compass ministry and is the Director of the toddler department. Deno & Sharon serve on the Board of Directors of The International Church. Deno is a United States Air Force Veteran with just under 10 years of active duty service. He also serves as a Deacon and Director of Security. Sharon Johnson serves as Secretary to the First Lady for the Ladies Ministry, Mothers and Daughters of Zion and Sunday School Assistant for the 5-7 year old class.